Paris St Germain (PSG) lost 1-2 at Olympique Lyonnais to suffer their first Ligue 1 defeat of the season ahead of their UEFA Champions League last 16 tie against Manchester United. 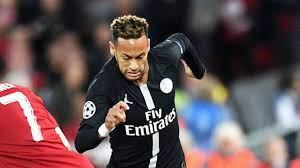 Thomas Tuchel’s PSG, without the injured Neymar, were overwhelmed at the Groupama stadium on Sunday by Lyon who will face FC Barcelona in Europe’s premier club competition. Nabil Fekir’s second-half penalty kick earned Lyon all three points after Moussa Dembele had cancelled out Angel Di Maria’s early opener for PSG. PSG lead the table with 56 points from 21 games, 10 ahead of second-placed Lille who have played two more games. Lyon are third, three points further adrift. The capital side lacked steel in midfield in the absence of injured Marco Verratti and missed the spark of Neymar. The Brazilian will also sit out the Feb. 12 first leg tie against Manchester United at Old Trafford due to a foot injury. Edinson Cavani and Kylian Mbappe, spearheading the attack in a 4-4-2 formation, were subdued, raising concerns nine days before PSG face a resurgent Manchester United side. PSG went ahead after seven minutes when Julian Draxler dispossessed Houssem Aouar and set up Di Maria on the edge of the box for the Argentine to score with a left-foot shot. Lyon had the upper hand, though, and PSG were saved by six stops from Alphone Areola before he failed to handle a Leo Dubois cross. It left Dembele free to head home from point-blank range in the 33rd minute. Lyon took the lead four minutes into the second half, Fekir converting a penalty kick after Thiago Silva had fouled Dembele. The visitors dominated the closing stages, but the Lyon defence and goalkeeper Anthony Lopes held firm to hand the capital side their first league defeat since May.